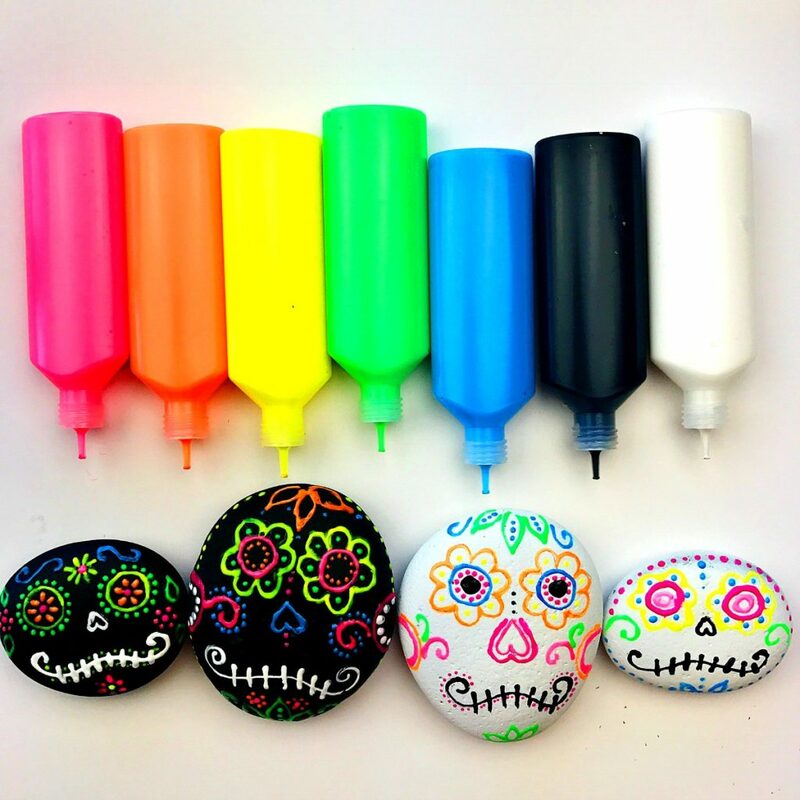 These puffy paint sugar skull rocks are a great project for all ages to help learn and celebrate Day of the Dead or Dia de los Muertos. There’s a secret weapon though when it comes to making them. Not all puffy paint is created equal. 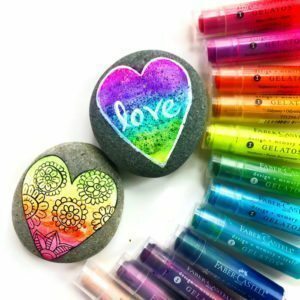 I actually tried several brands before I came across the Tulip Slick Dimensional Puffy Paint(aff. link) The biggest difference is the opening of the applicator. This brand has a small opening at the tip making it much easier to make lines, dots and small details. 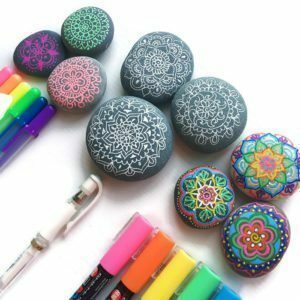 Puffy Paint – I used these neon dimensional puffy paints as well as the white and black from this puffy paint set. You could even try the glow in the dark version. Primer – I used both this black primer and a white primer (similar). 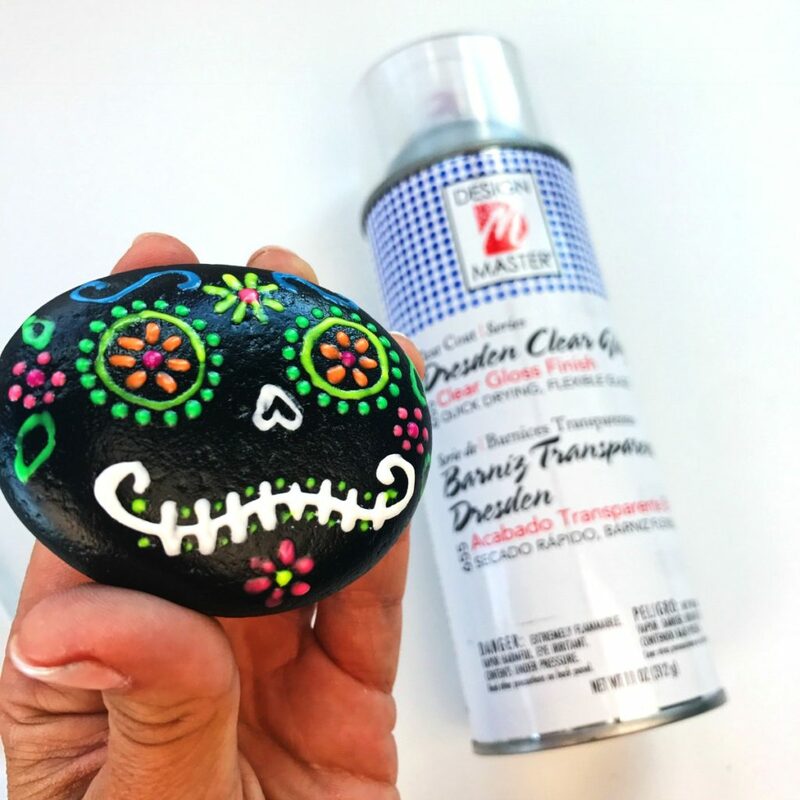 You can also use acrylic paint, but a spray primer is much faster and easier for covering multiple rocks quickly. Sealant – I used this gloss sealant but this is also a great rock sealant option as well. 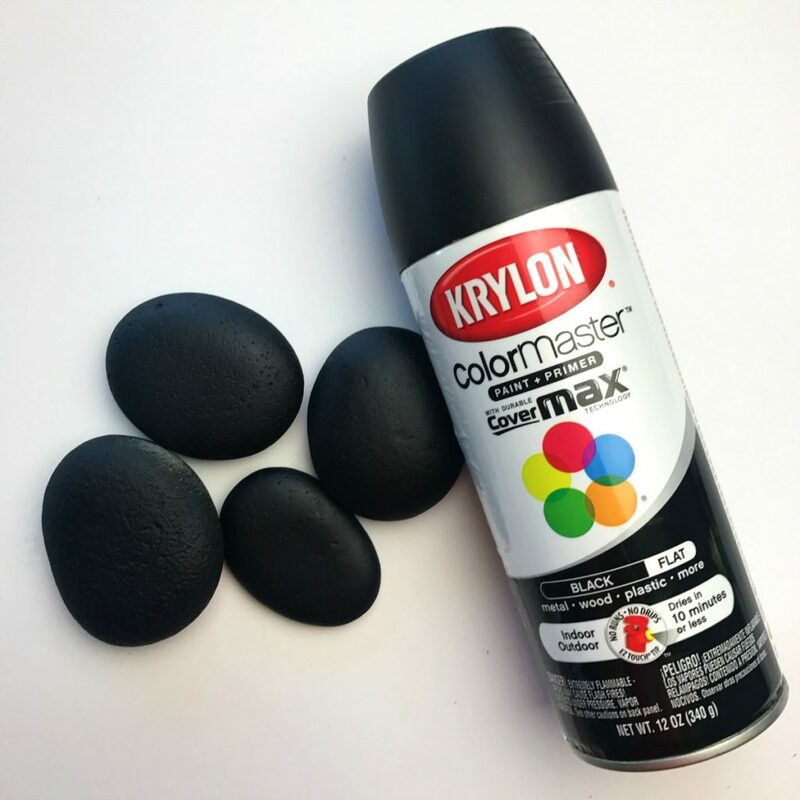 Spray your rocks outside on cardboard using a black or white primer. Two coats are ideal. 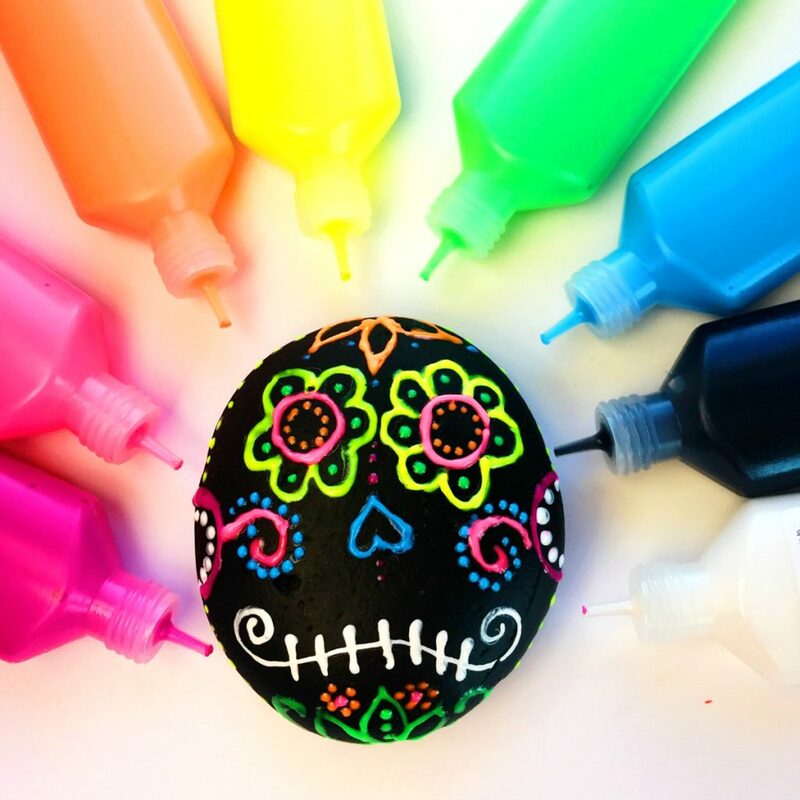 Draw a basic sugar skull design onto the rock using a pencil. 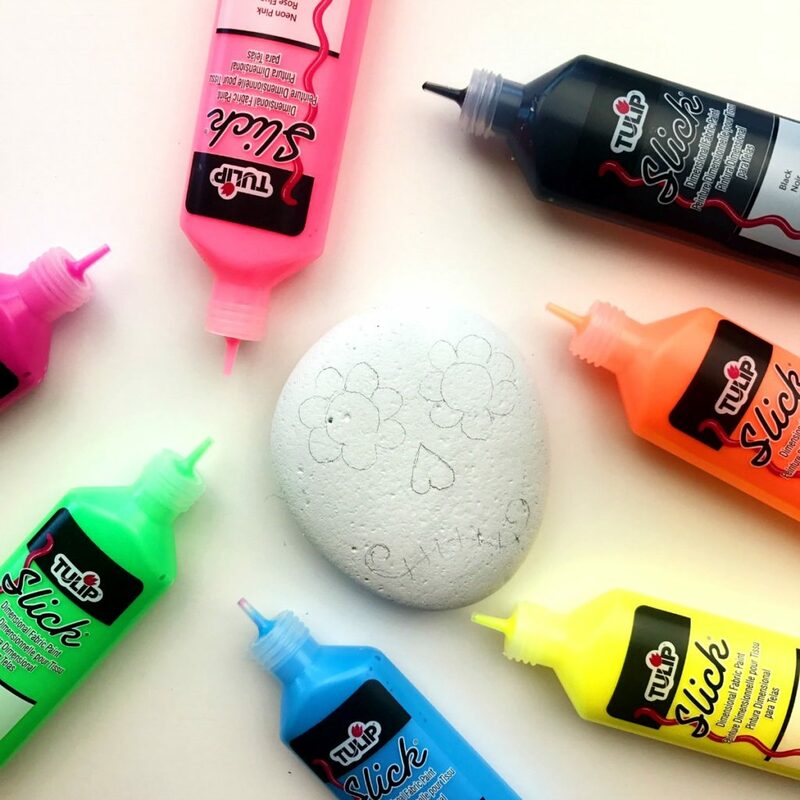 Shake your puffy paint bottles well and test them first on a scratch piece of paper. 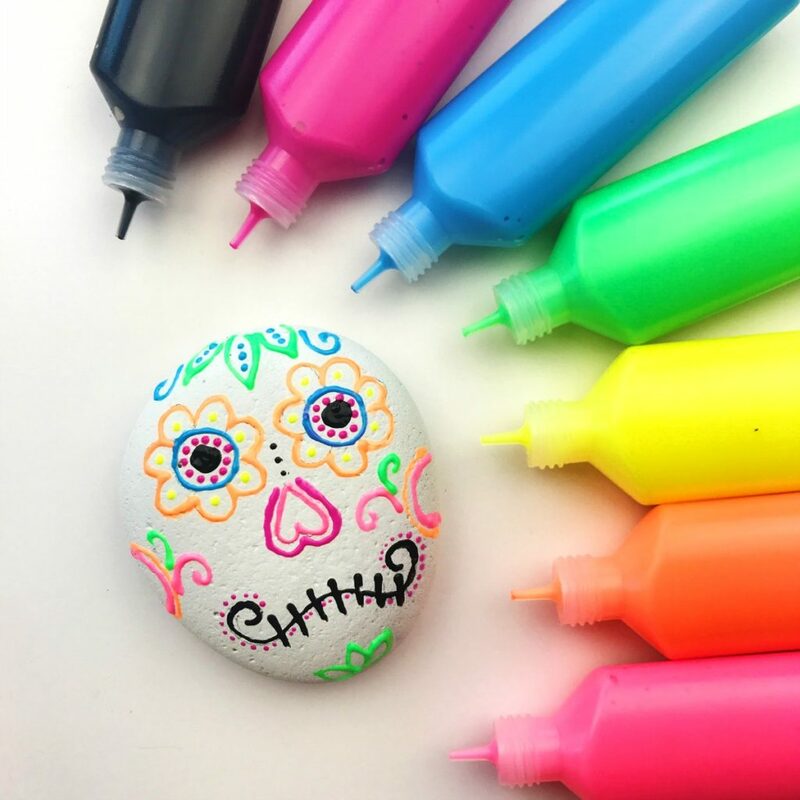 Carefully add the puffy paint to the rock. 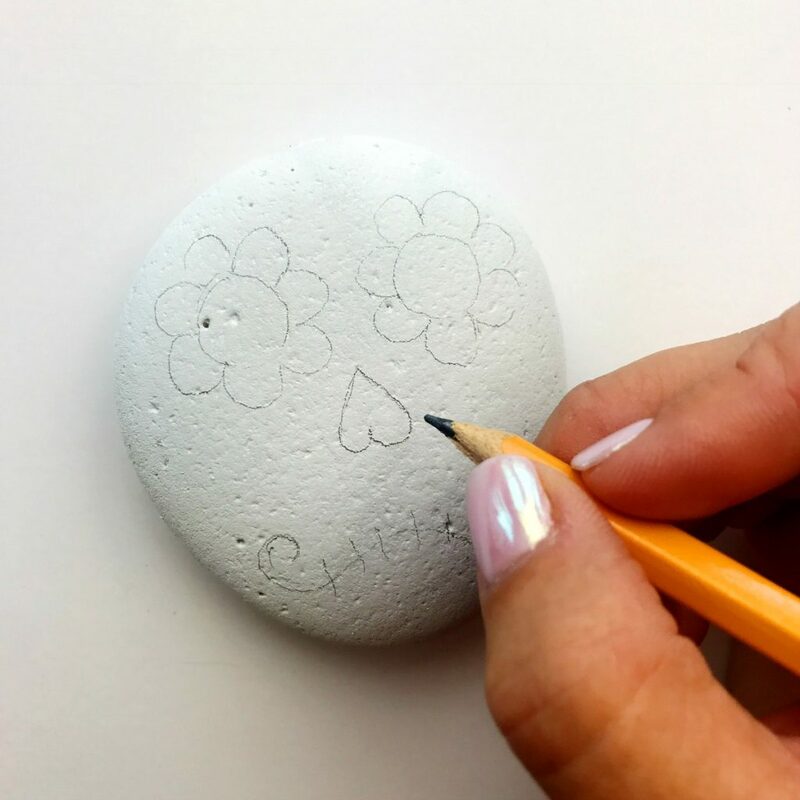 Seal your finished design with a spray sealant to protect it or leave as is. 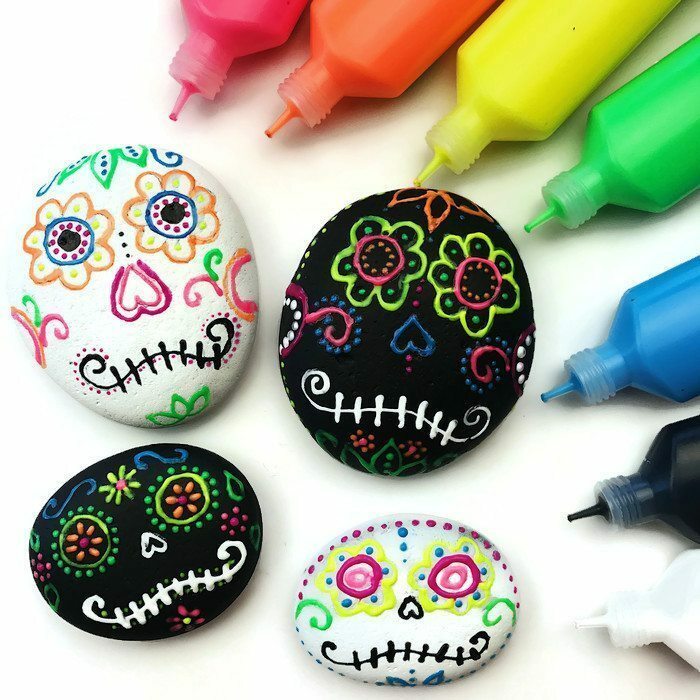 Hope these sugar skull rocks have provided some Day of the Dead craft inspiration. For more fun crafts, make sure you’re following me on me on Instagram @Colormadehappy and Facebook. And be sure to come share what if you’ve created if you’ve been inspired by one of my posts. I’d love to see it. 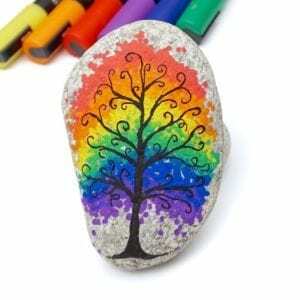 If you are interested in more rock craft ideas, check out these other great rock painting and decorating posts. It really is relaxing. I love it. Thank you for all the product information and fine examples. Hoping to give these a try very soon. I LOVE these!!! I ran out today to my local Hobby Lobby and bought the Tulip Neon paint! Can’t wait to try them, especially with Halloween approaching. If I do okay, I’m going to purchase the glow in the dark paint as well! 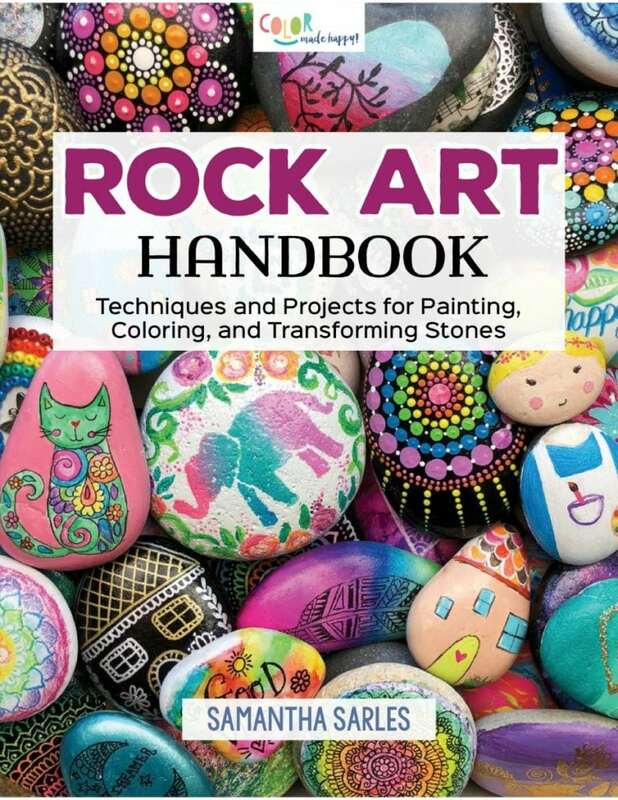 I love how you not only show us detail for detail how to draw on the rocks but the exact products you use (which are usually one’s we can find at our local craft stores)!! Thank you so so much!! 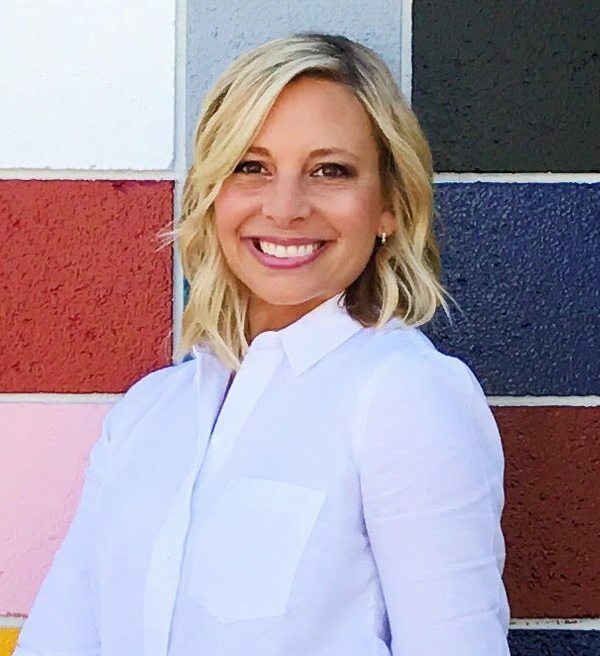 I’m totally following your website and Instagram!!! YAY!! You’re going to have so much fun. 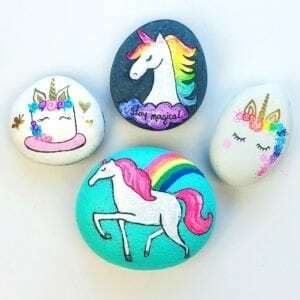 They are addicting to use on rocks! where do you get the tulip paints? can you get them at wal mart? You can buy them on Amazon, the links are on the post or you can also find them at Michael’s and Hobby Hobby. Not sure about Wal Mart.